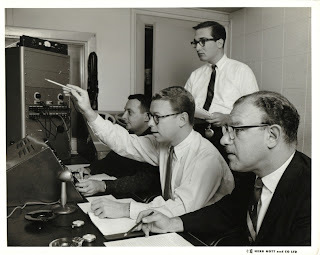 Want this RANKIN/BASS documentary to be the BEST possible...so have been assisting to the last minute. Looks like I will be doing a radio show on JUNE 8th with TIME TRAVEL D.C. Hollis. Check the LINK to the right and more info to come. BEAUTIFUL day in CHICAGO today! 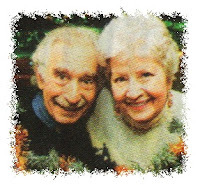 PAUL SOLES & BILLIE MAE RICHARDS! Here is a picture my friend BILLIE MAE RICHARDS (Voice of RUDOLPH) sent along! She is pictured with the voice of HERMEY (and the voice of SPIDER-MAN) PAUL SOLES! 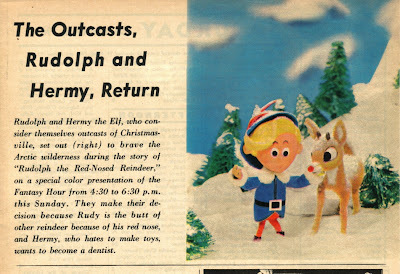 RUDOLPH article from 1964 in CHICAGO TRIBUNE TV GUIDE! Notice they spelled HERMY wrong. 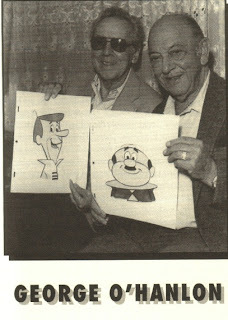 RON MURPHY found this article for me and it utilizes one of the RARER publicity photos from the classic RANKIN/BASS TV Special! 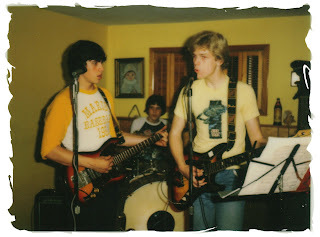 A very early picture of my first band! Have some cool things up on EBAY! under seller ANIMAGIC1 and MISER BROS! Rnjoy! Here is a book from my friend TIM LAWSON that deserves mentioning again! I helped TIM a little over the years with this and it was a long time coming! 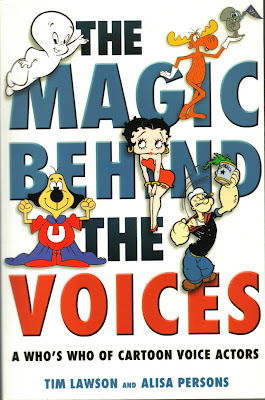 A great book to put the voices with the animation characters that they created a personality for. BIOS include DAWS BUTLER, PAUL FREES, MEL BLANC, JOHN KRICFALUSI and many more!